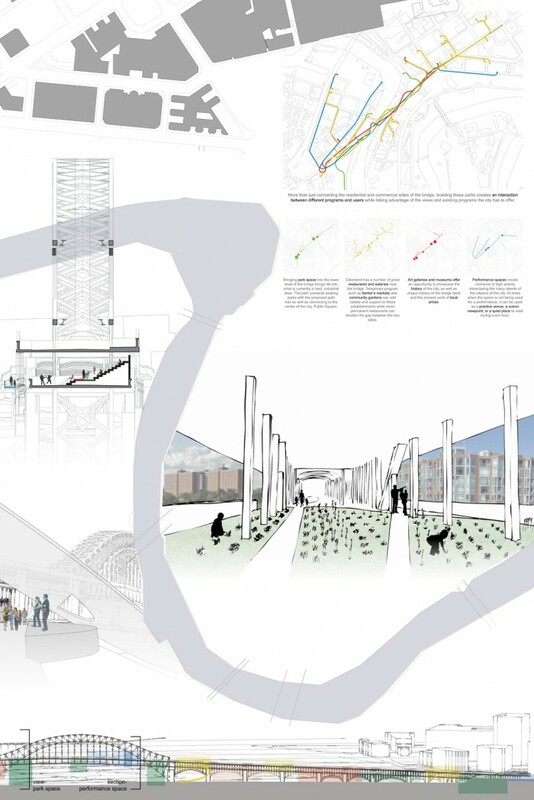 Overview: Braiding across the bridge is a project that focuses on adding to the existing redevelopment plans in Cleveland, such as the Canal Basin District Plan and Towpath Trail Extension. 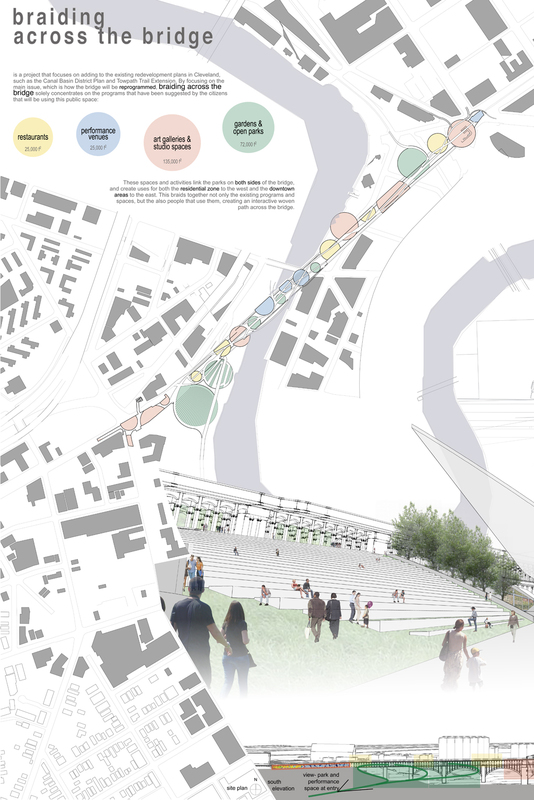 By focusing on the main issue, which is how the bridge will be reprogrammed, braiding across the bridge solely concentrates on the programs that have been suggested by the citizens that will be using this public space: restaurants, performance venues, art galleries & studio spaces, and gardens & open parks. 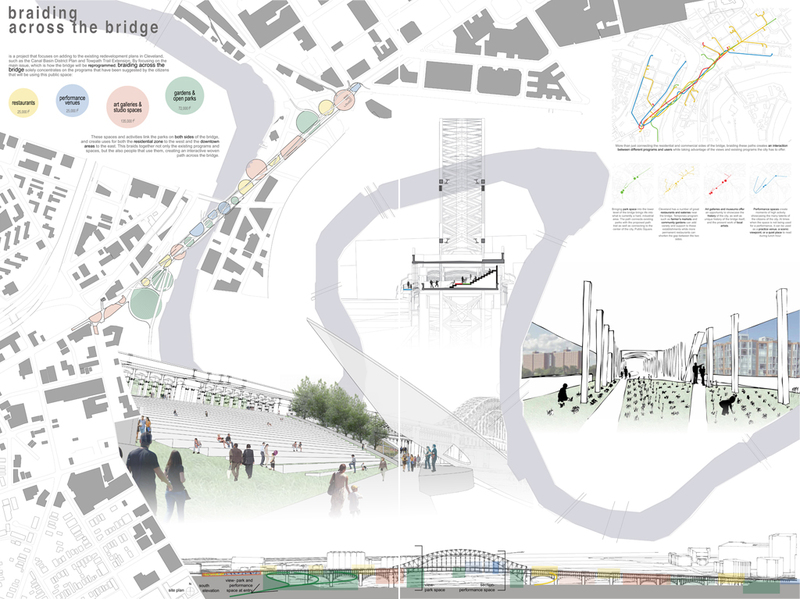 These spaces and activities link the parks on both sides of the bridge, and create uses for both the residential zone to the west and the downtown areas to the east. This braids together not only the existing programs and spaces, but the also people that use them, creating an interactive woven path across the bridge.